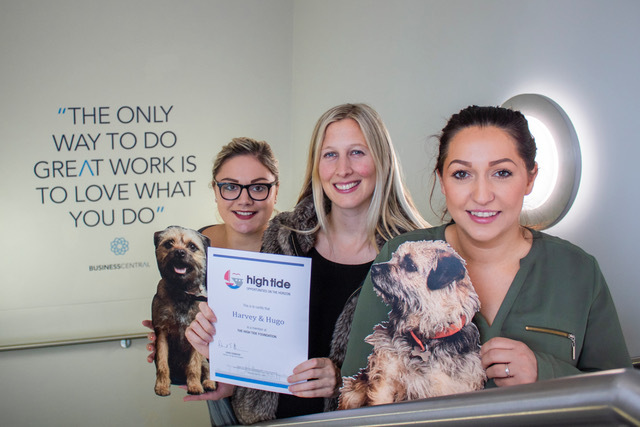 North East PR, social media and content marketing agency, Harvey & Hugo, is the latest company to pledge its support to young people in Teesside by becoming a member of High Tide. Headquartered in Darlington, Harvey & Hugo has been developing and promoting brands across the North East and beyond for over nine years. Through this new membership, the company will offer work placements and industry insights to young people across the Tees Valley. Charlotte Nichols, owner and managing director of Harvey & Hugo said: “I’m really passionate about developing and retaining talent here in the North East. We have an exceptional range of industries and it’s important that young people get a taste of the opportunities available before they commit to long term studies and qualifications. As members, Harvey & Hugo will also support High Tide through fundraising activities and raising awareness with its varied customer base. Lauren Bywater, general manager at High Tide Foundation, said: “It’s great to add Harvey & Hugo as our latest members to the list. Six years ago, we started off with only the local port users and it’s great to now see just how much we have grown to have members from many different industries including the creative media and digital sector. “I feel so proud to be part of Tees Valley with our fantastic young people we support and also the great businesses that are so keen to help out. We started our journey in Redcar and Cleveland and have expanded into Middlesbrough, Stockton and Hartlepool. Our next hope is to become more engaged with the Darlington area and through teaming up with an amazing Darlington-based company such as Harvey & Hugo, this really gives us a great place to start. I’m very much looking forward to seeing what the team bring to our new Creative Media Sector Week”. Harvey & Hugo will be working with High Tide Foundation for strategy development and to provide PR and content marketing support, to help the charity continue developing awareness of its work and share its successes. High Tide Foundation works to connect education and industry in the Tees Valley, delivering a wide range of industry-led programmes to as many young people as possible. From accountancy and automotive to media and manufacturing, its business members are in a unique position to inspire, influence and shape their future workforce.